James Joyce, the giant Irish modernist novelist of the twentieth century paid his own tribute to the creative genius of youth, when he published his first notable work and entitled it, Portrait of An Artist as a Youngman. 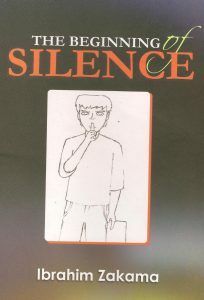 When in August 2012 the city of Abuja witnessed the birth of a book, The Beginning of Silence, by the twelve year old author and poet, Ibrahim Zakama, even Joyce must rejoice that some cheeky yet to be teen boy dared to shred the implicit age-limits he drew on the sands for artists. His very choice of title sets you thinking, that we may well have a prodigy among us, because for those who know, the solitude which silence bestows is the beginning of wisdom for the truly creative mind. This gem of a title enunciates our very aware child-poet’s artistic principle. So, all you noisy throng of adults, take heed! The ambition of the poet is expressed in the first poem, when he seems to wonder in-“Beautiful Sun”: The sun brighter than light/You still are looking at the sun. Same sun teases his dream in the concluding lines: Believe and one day you will/be as bright as the sun. A declamatory cadence tinged with innocence seeps through the fourth poem, ”Song in My Heart”, to reveal what our poet thinks all his chanting is all about- I always sing and dance/To the song in my heart/I tell the truth and I sing/About the song in my heart. The search for truth is the province of philosophers(? ), while the poet’s fount of inspiration remains the heart. So, we have here a poet of the mind and heart, poised to reflect and create for his audience. The ‘thinking’ poems are no less meditative and motivational, in such verses as-“The Journey”, “If Only”, “Peacemaker”, “Racing Is Unlimited”, “Bring Me A Clear Hand”, “A Man With A Dream”, “The Rules”, “My Teachers”, “The Lazy Man’s Song”. Related to these are the poems on nature-“Dove From Above”, “Wildcat”, “Rain”, “By Sunlight”. Of course, much to be expected from a child, there are the whimsical pieces, like –”If I Shoot Now”, “You Don’t Know My Name”, and , “Usual Parade”, which satirizes our current political scene. However, the very last poem in the book- “I Never Said I Wasn’t Afraid” is the poem that truly speaks to our troubled times, where he despairs- I’m scared of the animals that lurk in the dark/Am I soon to become their midnight snack? A considerable number of the poems are dedicated to family members, sibling brother who also writes, late aunt, an uncle, mother, and most especially the poet’s father, who’s a versifier himself. 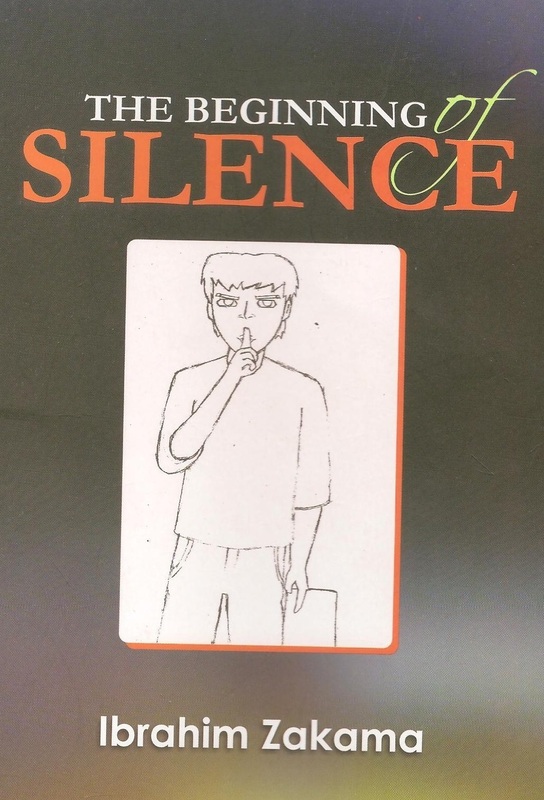 The father’s influence cannot be discounted, but listening to Ibrahim recite his work as I did recently before a mostly adult audience at the Abuja Writers’ Forum Monthly Session, tells you he crafted each line in The Beginning of Silence. Will it be awesome, will it be terrible? I hope it will be just like my parents’. I don’t want to be on the naughty list of Santa Claus. Am I soon to become their midnight snack? And my body stays still like a garden gnome? 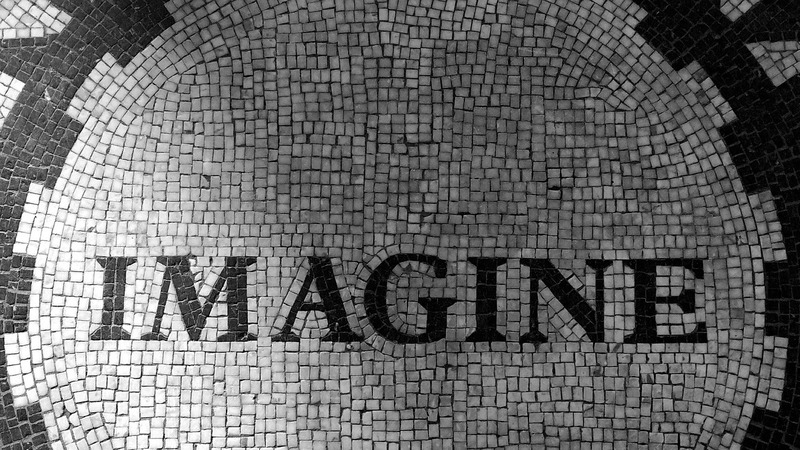 Imagination can be a fascination. -This review was first published in METROPOLE, an Abuja based quarterly magazine.